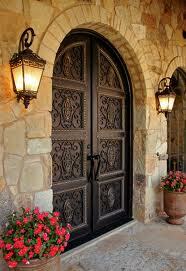 There are treatments and designs today that will transform your entrance from ordinary to extraordinary. For the home owner whose abode faces buildings on all sides, expansive, foldable doors ensure privacy, even as they create a seamless floor plan. 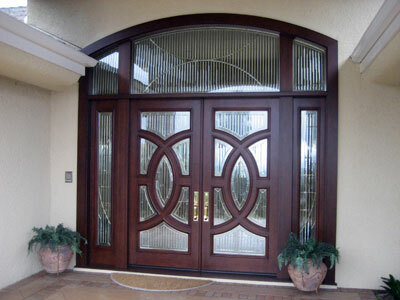 Besides, they act as a clever screen between two large areas and, you can even increase the style quotient with unique door patterns. Use steel, the malleable nature of which makes it great to work with. Be it straight laced, curvy patterns or even abstract art, the possibilities are endless. And textures can differ too. Importantly, the finish you give your overall entrance should ideally highlight all the hard work that’s gone into the door design. Work with glass-paneled doors for that lovely old world charm. Red, blue, green, yellow… a wide spectrum of colors will work. Brick walls and high ceilings will accentuate the look. Use a simple door frame to bring the look together. The ring door design is strikingly bold and will inspire even the most traditional of mindsets. Perforated steel sheets also look lovely on a sliding door.